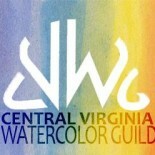 The Annual Exhibition had been “produced” for Virginia artists, age 18 and older, since the guild began in 1991. And because this is my last year with this project, I thought I’d explain a bit more about what goes into this activity in hopes of inspiring someone to step up, develop their team, and continue this classic event that supports one of the key goals of the organization: to promote the highest level of excellence in the use of water-media. The process basically involves three phases or steps and we are beginning that first stage now: Call for Artists. This year’s prospectus (or “rules”) has been reviewed, refreshed, re-evaluated by the team, Bill Snow, Adella Langham, Mary Ann Friedman and me. We’ve updated the gmail account where you send your electronic entry and added information on our juror as well as a few other small changes. The deadline for electronic entries with your paper copy and check for $35 is due Saturday, May 4. This year’s work must be on paper or synthetic paper (aka ‘yupo’) and completed since January 1, 2016. You will receive results by June 29 and our show opens at McGuffey Art Center on Friday, September 6. Entering can be a bit difficult for those of us not as savvy as others with electronics, computers and cell phone pictures. To help you, our team will have a HELP table before the next two meetings.Come early with your questions and concerns. We can even help you submit your entry. Nothing will be printed this year as we have in the past, but I will bring paper copies over the next two months for those of you without printers. After the electronic entries are received, we prepare a thumbdrive to send our juror who decides who will be in the show. That’s why it’s critical you follow our guidance for good imagery to submit. Stay tuned. Next time, I’ll tell you more about phase two when we receive the paintings and what happens next. Save the date: Friday, September 6. If someone steps up to manage the reception, we will have that in the lobby of McGuffey after the Juror’s Talk at 4:30 that day. This entry was posted on Feb 26, 2019 by miatomaine in Shows.